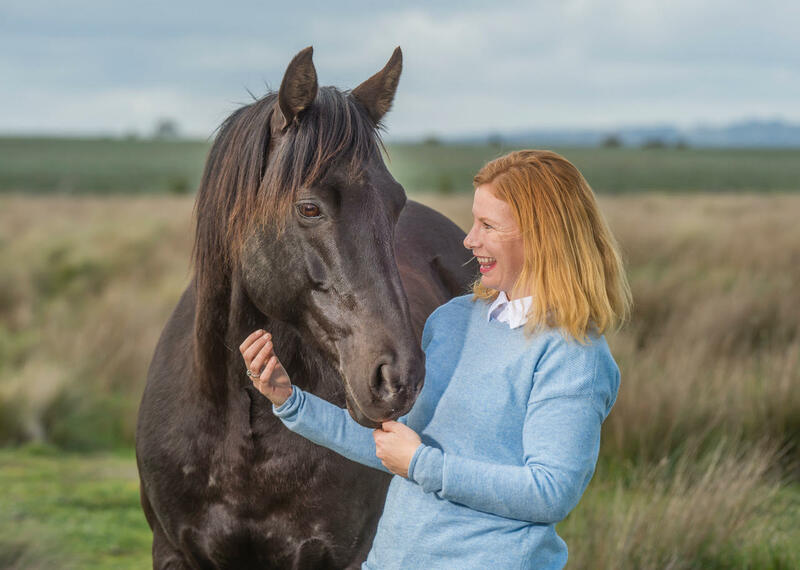 Jess Liston is on a mission to save the horses whose ancestors carried Australian troops through both the Boer War and World War I: the resilient, loyal , old bloodline Walers. Walers were developed in Australia’s colonial days by crossing a huge number of breeds to create a strong, hardy and willing horse that was just as comfortable pulling a cart as it was working a mob of cattle. Around 37,000 Walers were sent overseas to serve in the Boer War, and more than 121,000 Walers left Australia in World War I. After World War I, only one returned home, a gelding called Sandy. Tragically, in the years since, the breed has all but faded out of existence through culling and interbreeding (the Waler was fundamental in the development of the Australian Stock Horse). 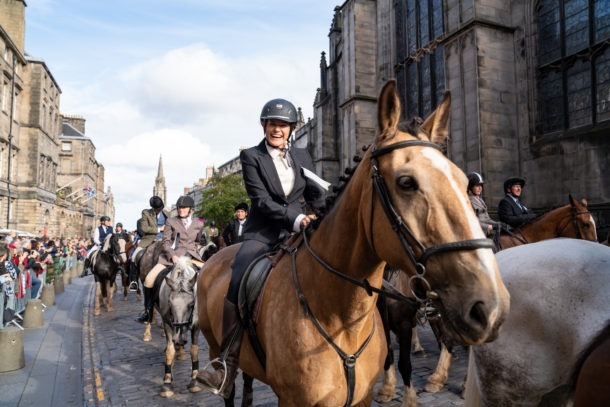 The Waler Horse Society was formed in the 1980s to preserve the breed, which largely involves identifying wild populations with Waler bloodlines, capturing them and finding them caring owners. There are now a number of breeding studs across Australia, but numbers are still low and ‘old bloodline’ Walers (horses carrying pure, original Waler bloodlines) are few and far between. Wild populations are known to exist in various parts of Australia, but most are so remote and have such endless territory to roam that capturing them is next to impossible. But right now, there’s an opportunity to capture some of these wild Walers and bring them back to civilisation. On a remote property in the Northern Territory, a gentleman is pumping water into a man-made bore to help around 300 horses survive the crippling drought. This water source is the only thing keeping the horses from leaving the area, and Jess Liston (pictured above with her Waler stallion, Zeke) is determined to rescue 20 of them before the drought breaks and they’re gone again – possibly for good. 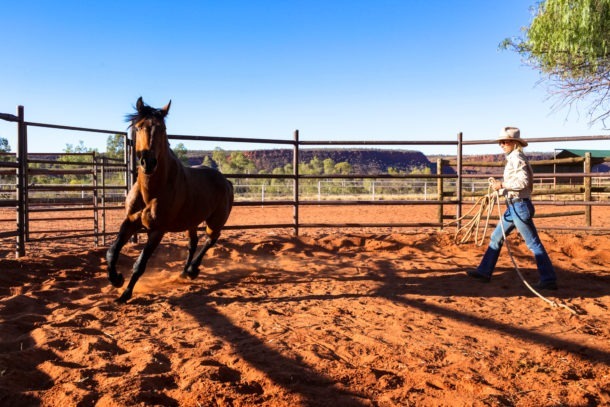 Jess is raising money to find, capture and transport 20 Walers from the drought-stricken outback of the Northern Territory to knowledgeable and caring homes across Australia. The breed means a lot to her not just because of their history, but because of their incredible versatility and beautiful, friendly nature. 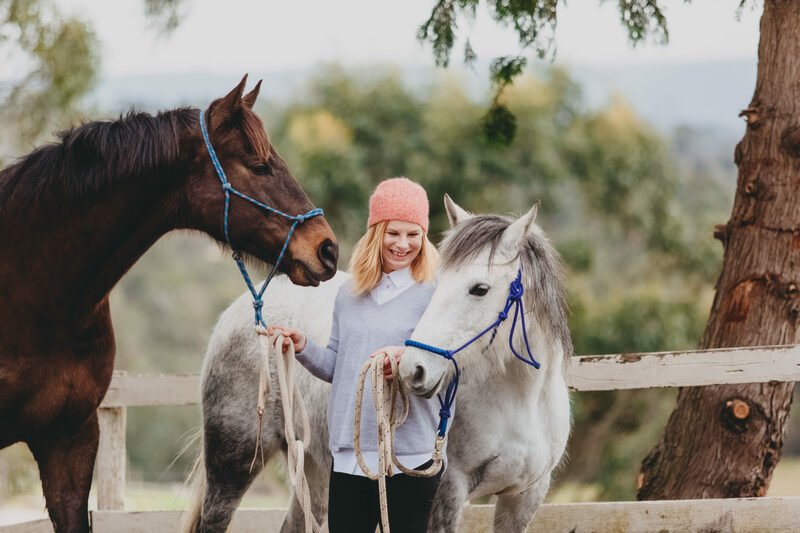 These traits have made them perfect for Jess’s equine assisted therapy work, in which they interact with everyone from corporate groups to young children. But that’s enough from us – keep reading to learn more about Walers, the mission and Jess’s work from the woman herself. I can’t actually remember a time not being around them as they have always been part of my life. However one of my favourite memories as a child was riding my pony Joe into our family home for my 4th birthday and opening my presents on him. What’s the biggest lesson you learned from growing up around horses? Trust and respect. I love how horses don’t care about your job title, your bank account or who you know. They care about how you show up in the moment. Horses require you to SHOW them with your body language and tone of voice that your actions are honourable and then they will willingly go with you or jump a large jump because they trust and respect you. Can you remember the first Waler you ever met? Yes, it was actually Zeke, a black stallion who I now have the privilege of working with. It was only a few years back and at the time I was running an Equine Assisted Therapy program at Candlebark school. My boss, John Marsden, mentioned that he had met a lady called Angela Tiede and her Waler horses at a local show and asked if I would be interested in taking a school group out to see the horses and learn about their role in World War I. I had never even heard of the breed Waler before then. What is it about Walers that makes them so special? 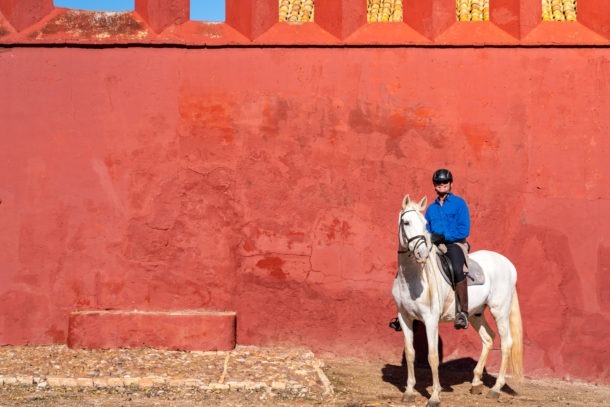 Walers were described by many as the best cavalry horses in the world. They are intelligent and tough, surviving at war under the most adverse conditions for long periods of time, with little or no sustenance. I particularly love how loyal and relaxed they are – more like a golden retriever dog than a horse. They are also really adaptable: in the same week, Zeke, an 11 year old stallion, can go from a show jumping arena to a stockman’s challenge competition to working with corporate leaders teaching leadership skills, and he will be as cool as a cucumber in each discipline. You can even take him for a trail ride out with mares all around him and the most he will do is whinny to them. 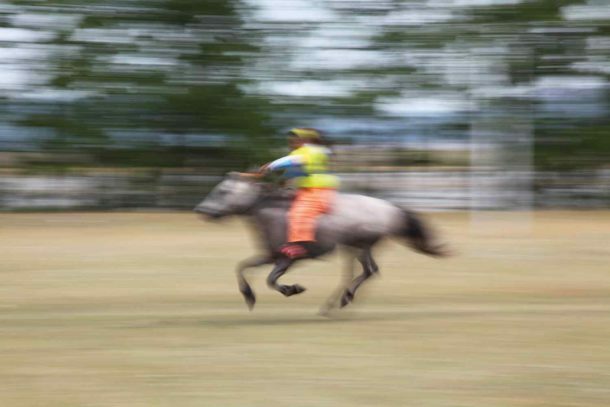 When you’re not off rescuing endangered horses, what do your days typically involve? Well my weeks vary a lot! I am a mum to a 15 month old boy, Reuben, so when I’m not running my equine assisted coaching business I’m usually spending time with him and enjoying seeing him grow and develop. Just last week he started walking by himself and now he is walking everywhere! My work days involve teaching people from all walks of life how to communicate effectively through participating in leadership and team building courses with the Walers. One day I might be running an international leadership course for executive coaches, the next I’ll be working with school children and teaching them how to stand up to bullying behaviours. 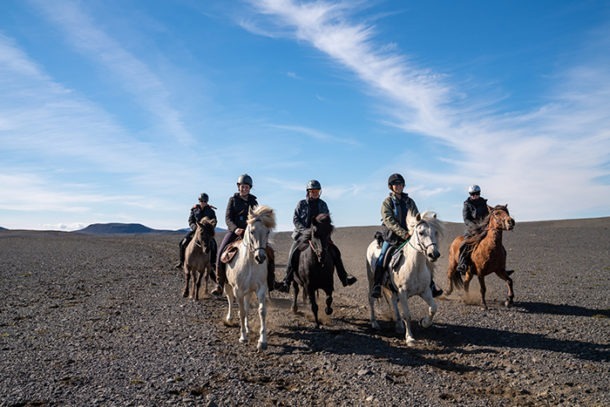 When I can, I have meetings with my staff on horseback – we go for a ride in the forest and let nature inspire us to come up with new ideas for events and courses. I love seeing people connect and support each other in a really authentic way, and when this happens the response from the horses is always profound. I have had corporates come for a team building course and many of them arrive thinking ‘this is a waste of time, what can horses teach me about leadership.’ We then start the session with the horses free in the arena. I will ask the people to come into a small circle and I will talk them through a five minute meditation. 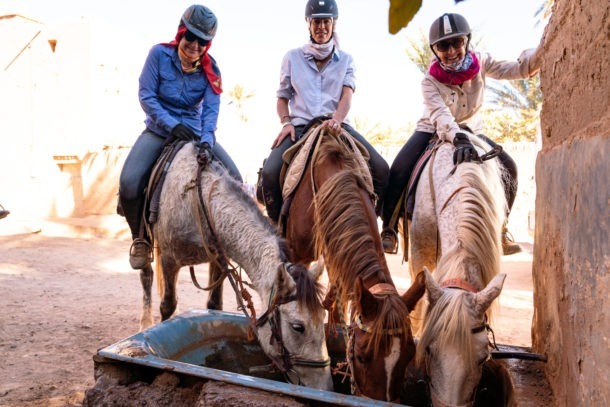 While the group energy shifts to a calmer energy, the horses mirror this and go from being highly active at the opposite end of the arena to walking right up to the group and joining the human herd because their energy is much more inviting for a horse. It’s these moments where people see for themselves their direct impact on the environment around them that makes me so honoured to be able to have such a unique but perfectly fitting job for me! Give us your best Waler-related story! 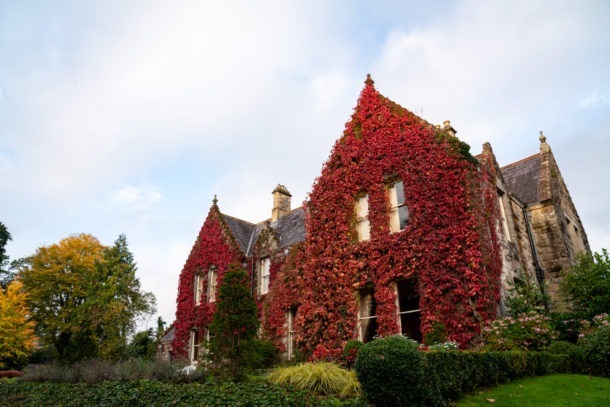 I recently had two brothers aged three and five come for an eight week course. By week two both parents, who also owned show horses, had joined in and were enjoying spending time as a family learning different communication skills for their individual and family tool box. The parents were so impressed by the nature of the Walers that we worked with that by week five they had bought their very own un-handled, old bloodline Waler filly, Piperita. They are now in the process of spending time with Pipi to gain her trust and respect. She comes right up to them when they go out to the paddock and the parents can pick up all four of her feet. 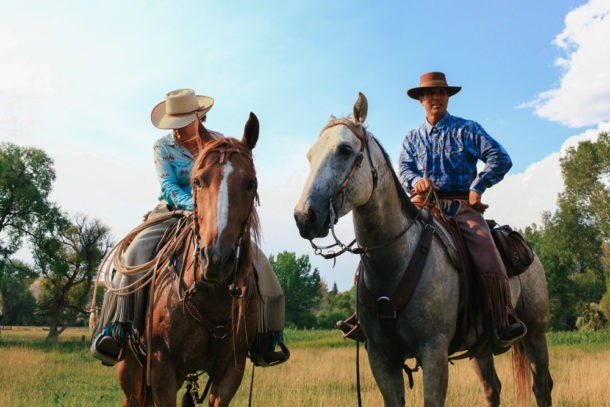 The family plans to take Pipi to shows and campdrafting, as well as into corporate leadership courses and schools to teach the intangible skills required to be a great leader. Paint us a picture: if your Waler rescue mission is successful, where will those horses be in five years’ time? 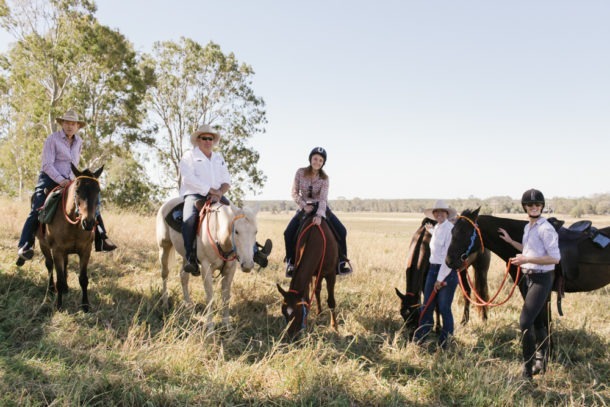 When we get to the property, my mother, Thoroughbred breeder and trainer Pauline Liston, and I will work together in the same way we have for my whole life – listening to the horses, going slow and getting the horses to feel comfortable with us. Together we will decide on which horses we would like to select and come up with a plan as to how we will get these particular horses into a stock yard. From there will drive them onto the back of an open horse truck. We will take our time and will also work with great local stockmen to execute this plan. In five years’ time I hope that these horses will be out competing and working in all sorts of different equestrian disciplines, from Dan Steers taking a Waler on tour doing amazing tricks at liberty, another winning at campdrafting, through to working equitation, dressage, trail riding and equine assisted therapy horses, to lead ponies and Clerk of the Course horses in the Thoroughbred industry. I hope we also have a Globetrotting Waler taking trail rides and meeting people from all over the world! It will be a lot of fun to see what each of them are up to in five years’ time! What’s your ultimate goal for Walers as a breed? When I’m a Grandmother I hope that the Waler horse is the most common breed in Australia, and that every school child has met a Waler and learnt about the sacrifices our Lighthorsemen and their horses have made for our country. We’ll be keeping tabs on Jess’s journey as it unfolds, so stay tuned for updates! Donate to Jess’s mission on her GoFundMe page! Learn more about Walers in our breed profile and at the Australian Waler Horse Database. And check out Jess’s equine assisted therapy business, Inner Rhythm. Image credits: Rob Leeson and Chloe Smith.